The Art We Can Debate. The Science We Can Prove. Design and function are the two core strands of Bolon’s DNA. We believe that something is never truly beautiful unless it works perfectly and something can never be totally functional, unless its form considers every detail. Easy To Maintain. Simple To Clean. With a simple and cost effective maintenance program, the original and authentic Bolon floors require only water, a mop and cloth to clean. 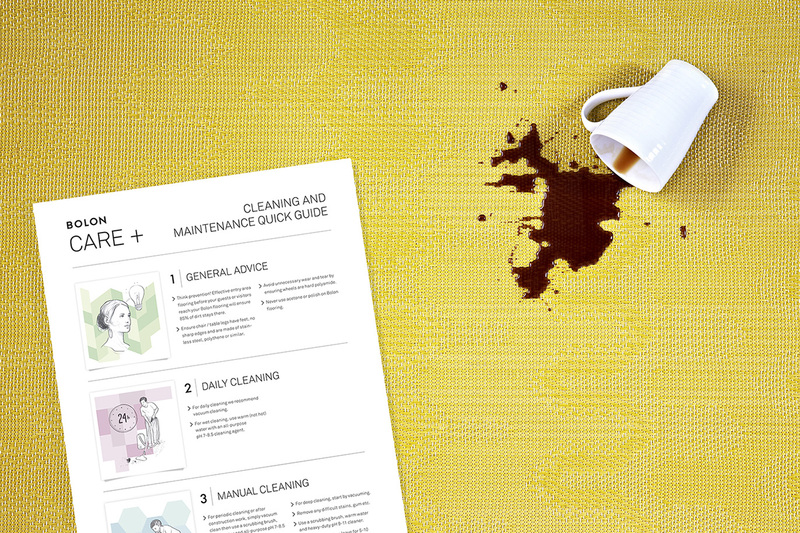 To understand why Bolon floors are simple to maintain and for more advice on regular cleans, stain removal and machine cleaning, download Bolon Care+ Advice or watch Bolon Care+.